Architectural historian Ihna Thayer Frary with camera, ca. 1920-1945. 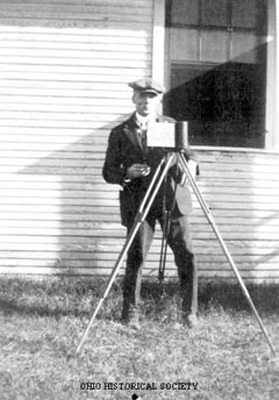 Frary, a teacher at the Cleveland Institute of Art and Western Reserve University's School of Architecture, studied the architectural history of Ohio and other states using photography to document historic buildings.